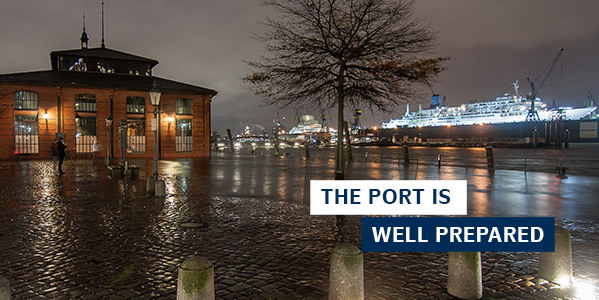 As specialists in modern port management we are prepared for everything, even for particularly stormy times in autumn and winter. The storm surge season officially began on the 15th September. For the HPA, it's really just a date like any other, because the latest in flood protection systems and an efficient early warning system offer maximum protection in the event of an emergency. On the other hand, the issues of future-orientated traffic management and environmentally-friendly energy supply in the port pose a greater challenge. Read now how we at the HPA are tackling these exciting tasks. We are particularly excited about the 25th anniversary of METHA, our large-scale plant for the separation and treatment of harbour sediments. It is still state-of-the-art and reliably keeps the Elbe clean. Here we show you how METHA works. I hope you find it an interesting read. Storm surges are part of autumn just as much as pumpkins and chestnuts. Luckily, as a rule they no longer cause disasters any more. Find out how the HPA sets all levers in motion today in terms of flood protection in order to protect the port. For visitors to Hamburg, a harbour cruise is simply a must. 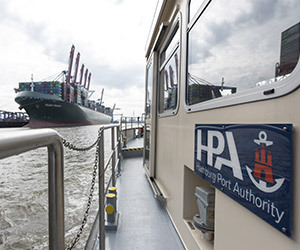 However, the port of Hamburg is not only interesting for tourists. 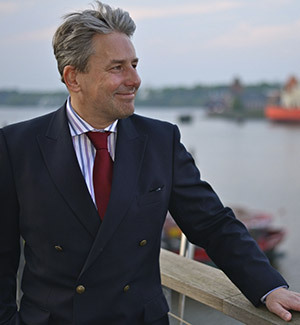 Daniel Jahn is the man who shares his immense expertise with international trade visitors, guests of the city and politicians alike. He introduces himself in an interview. The new Rethe bascule bridge is a construction project of massive proportions. After completion of the new bridge construction at the end of 2017, there now follows the final project phase which is to dismantle its predecessor, the Rethe lift bridge built in 1934. Get to know the old bridge now more closely! 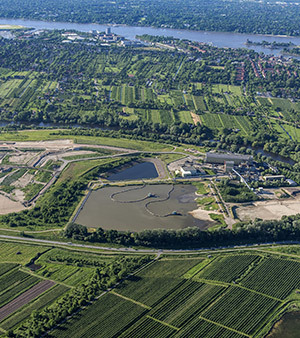 The water in the river Elbe is becoming cleaner and cleaner. Back in the 80s, mines and other industrial plants up the Elbe contaminated the river. In order to recycle these pollutants in an environmentally sound way, METHA was established in 1993 - the first plant of its kind in the world for the separation of harbour sediments. And to this day it is still unique and does an excellent job. The generators used for autonomous energy production for cruise ships create emissions and noise. Thanks to the world's first shore-side electricity plant in Altona, an increasing number of ships which lie at anchor in front of the Cruise Center have been supplied with emissions-free energy since 2016. Watch the video to see how this unique facility works to protect the city port! You'll experience a very special atmosphere at the Christmas market on the Überseeboulevard in HafenCity. Here you can feast, skate and be amazed. 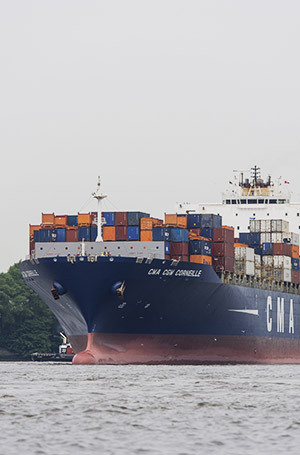 In 2019, Hamburg will celebrate its 830th port anniversary. 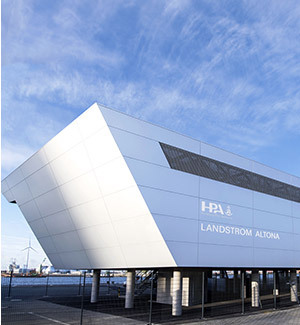 And of course the HPA will also be represented at Hamburg's most important celebration with our own info container at the Am Sandtorkai / Am Kaiserkai junction. Find out all about the programme here. Impressive luxury liners will moor in the port for Cruise Days. In addition there will be a spectacular cultural supporting programme and many culinary highlights. There is also lots to discover south of the Elbe. In Munich in 2019, transport logistic, the largest trade fair for logistics, mobility, IT and supply chain management will once again take place. The HPA will of course be part of it!